As many of you may know, I've been going through a time of personal disquiet and business reflection. Lately I have felt lost in what I am doing, feeling lazy on the days that I don't have a lot to do and aimlessly posting on my Instagram feed with the hope that someone will see. I haven't felt like I've had business purpose for a while. The WHY behind what I do got lost somewhere along the way. I have been limiting my creativity by boxing myself into a certain mindset, and it's been stifling. However, I was encouraged by something Robbie said: “This is the seed of change—the angst and disquiet that drives you to action.” I have been spending some solid introspective time to think about ways I can branch out of this frozen ground and grow as a business and a person. I have been seeking ways I can flex my creative muscles a little more. I want to practice being more aware of creativity when it strikes and be more open to let that happen. 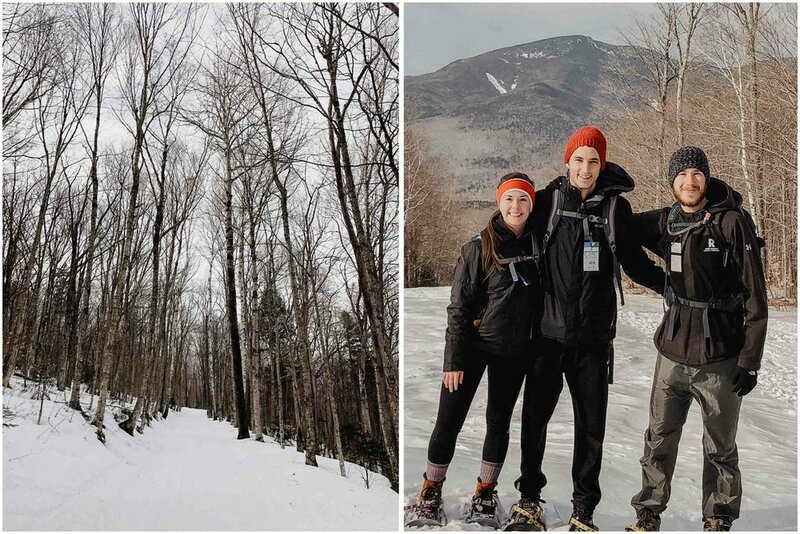 This past weekend, one of Robbie's college friends visited us, and we went snowshoeing in the White Mountains. I decided to leave my camera at home and just bring my iPhone on this adventure, ready to capture whatever I could—without my DSLR. This blog post will be the first of what I hope to be a beautiful series of perfect imperfection and creative possibilities. 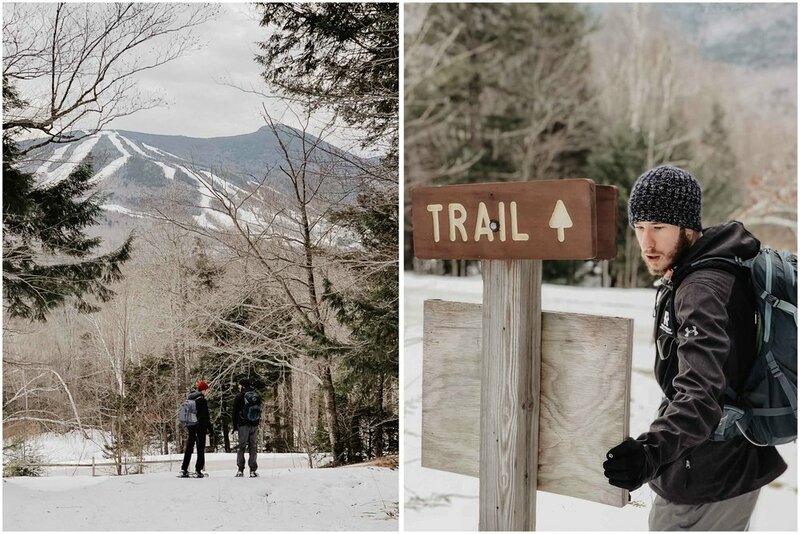 The trails at Waterville Valley Resort weren't the super soft, snowy goodness we had wished for, but the day was lovely nonetheless! I turned on my Garmin Forerunner 230 and was ready to log these miles and the moments. 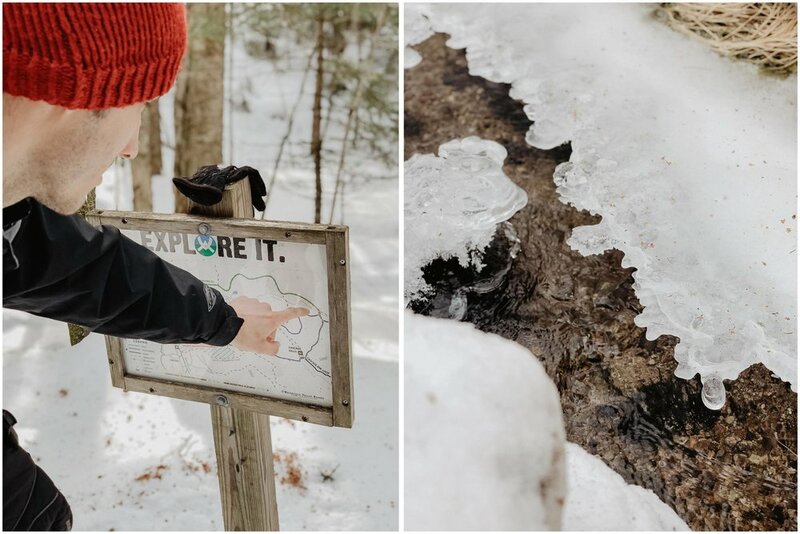 We walked to the trailhead, snapped on our showshoes, and started our trek through the icy woods. Methinks I see a lost portrait of the Queen! When tough hills get in the way, what else do you do but run up them?! Just make sure you try to look like a moose as much as possible to blend in with the environment. There were so many formations to explore and interesting sites to see. Because of the higher temperatures, the brook beds were flowing with clear, cold water running underneath icy canopies. 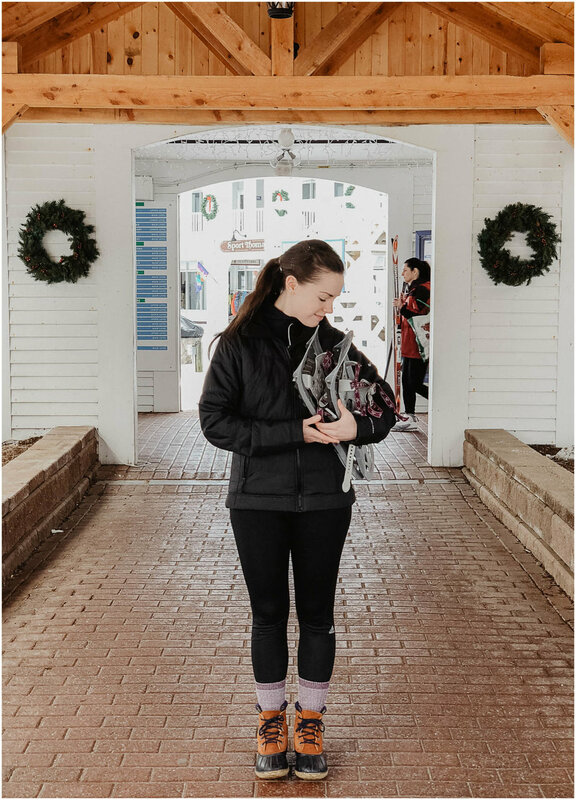 Despite my snowshoes breaking (at the beginning), my heels rubbing raw, and my silly day-pass never facing the right direction for a photo, we had the most marvelous time! 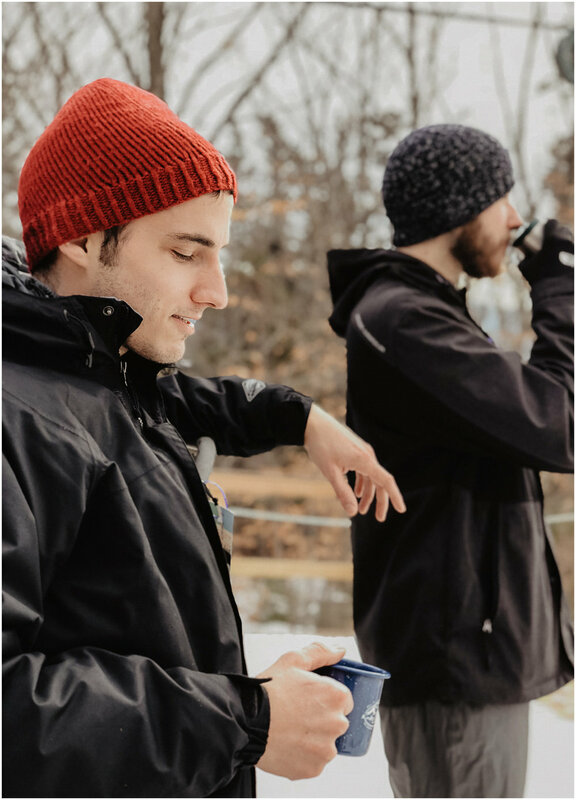 When we reached an overlook, we sat down with our trusty Stanley thermos filled with hot chocolate and sipped to our hearts' content. I would not have enjoyed that hot chocolate as much as I did were it not for my favorite camping mug from Dexam—the mint color is so cute! We had such a fun time exploring, laughing, falling down, and "chilling out" on our trek into the woods. 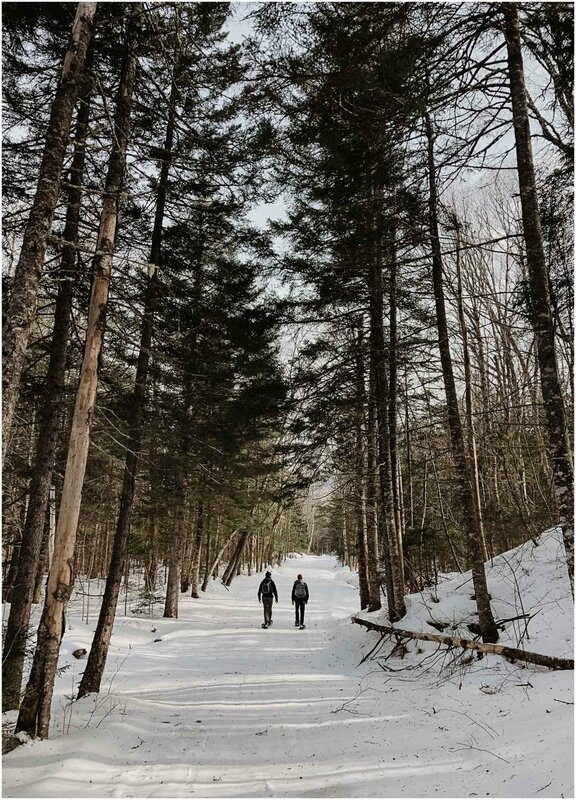 None of us had ever gone snowshoeing before, so all in all, I would say it was a grand experience! For sure, iPhones don't take the best photos; but I have to say, I'm glad I stretched my imagination a little bit and reached for a new kind of creativity. I'm looking forward to more iPhoneography adventures in the coming months! Think cozy thoughts with this sweet and summery country wedding in Pepperell, Massachusetts!